Have you ever had the same lesson come up in your life over and over again? So much so that no matter how much you don’t like to admit it, you can’t help but see it. Well, for me, that lesson is “Let go”. 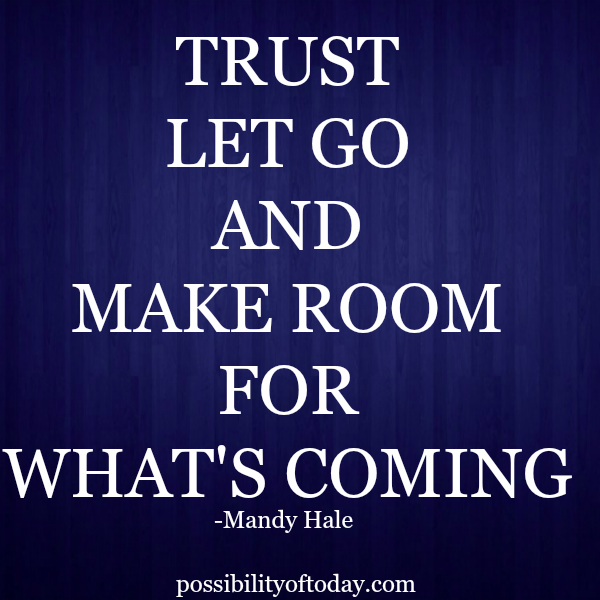 The lesson to “let go” of things you know aren’t right for you can creep up in so many different areas of your life – work, friendships, relationships, bad habits, etc. I always eventually see the light, but a lot of times I’m too slow “letting go”, even when I know something is not right for me.